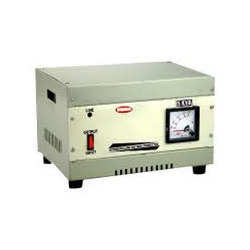 We are a primer manufacturer of the Voltage Stabilizers Cabinets. Having a large storage capability, the moisture control mechanism is able to provide a longevity to the preservation of the product. The products include Stabilizer Cabinets, and Wall Mounting Stabilizer Cabinets. Our packaging facility is able to provide a long viability to a defect free service. We are able to provide a proper mechanism for a swift delivery of the service. Besides, our after sales service provides the feedback mechanism necessary enhancement. 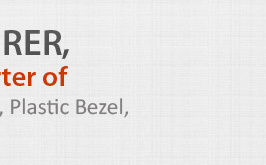 We are a prominent manufacturer and supplier of the Stabilizer Cabinets. Having a storage facility that has been made available with the most sophisticated facilities of moisture control we are able to provide a moisture free preservation. We have a provision for the best mechanism for the swift delivery to global clients. We are able to provide a large Wall Mounting Stabilizer Cabinets. 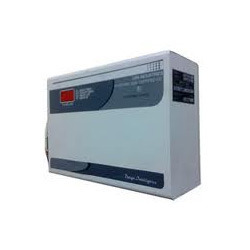 Applicable in hotels, small, flats, ice cream parlors these are able to provide a large mechanism for the storage in non-corrosion free mechanism. 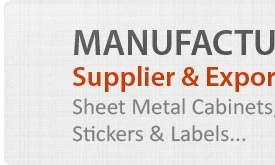 Our metal products have been able to cater to wide audience that is able to find the stable manufacturing sector. 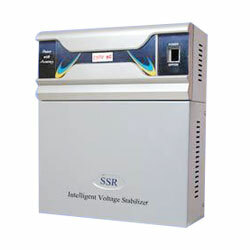 We are engaged in offering a wide range of SSR 5KW Voltage Stabilizer, as per client requirement. We are able to offer these customized body, as client customer specifications.